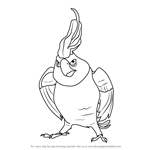 Nigel is one of the lead antagonist of the series and he is portrayed to be sadistic, anti-social, rude and somebody who finds pleasure in others' suffering. 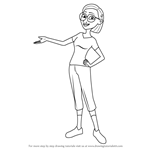 He is very tall, slender and muscular in appearance. 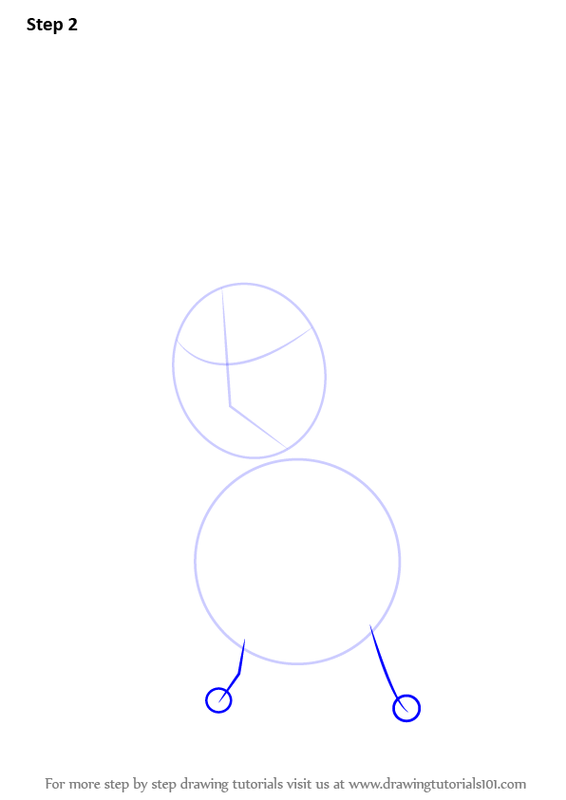 Draw the outline for the base of the body. 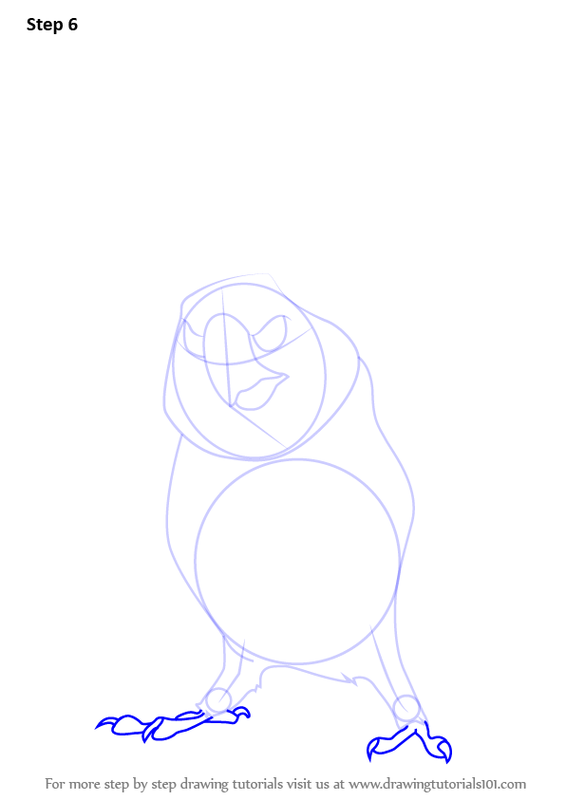 Draw the outline for the feet. 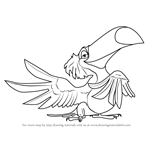 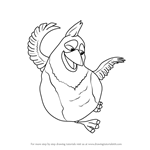 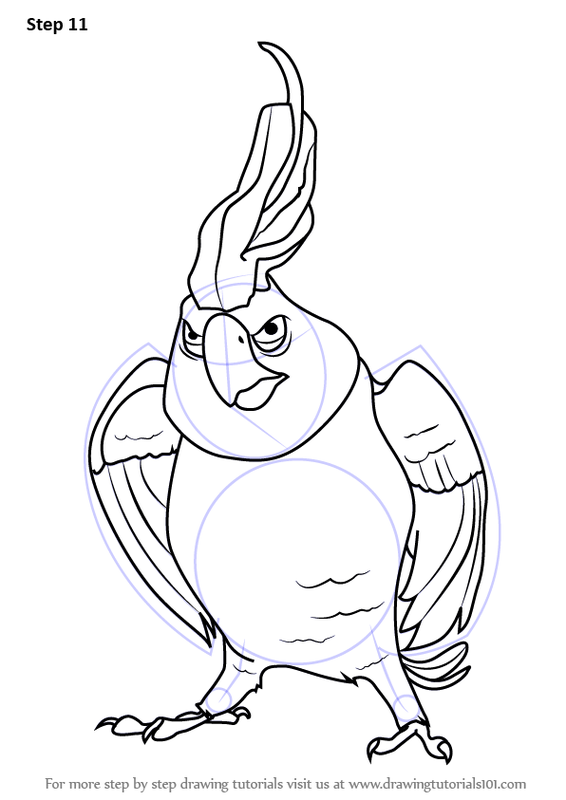 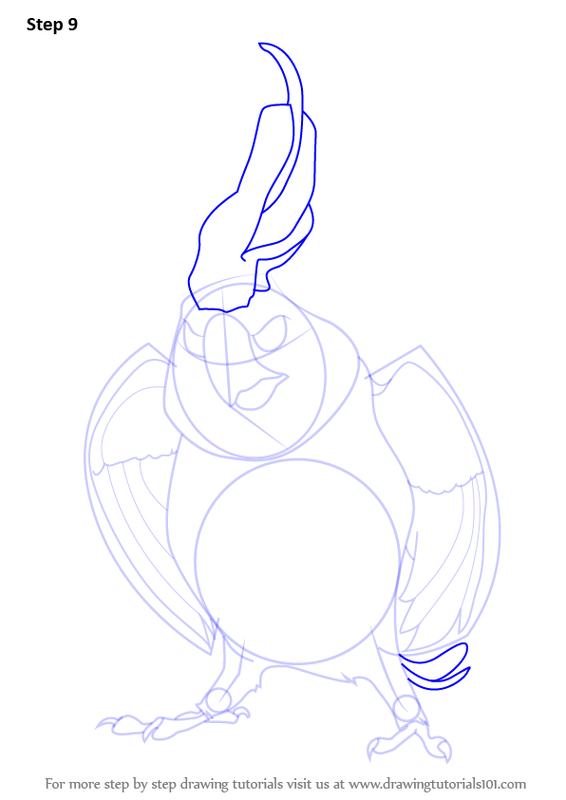 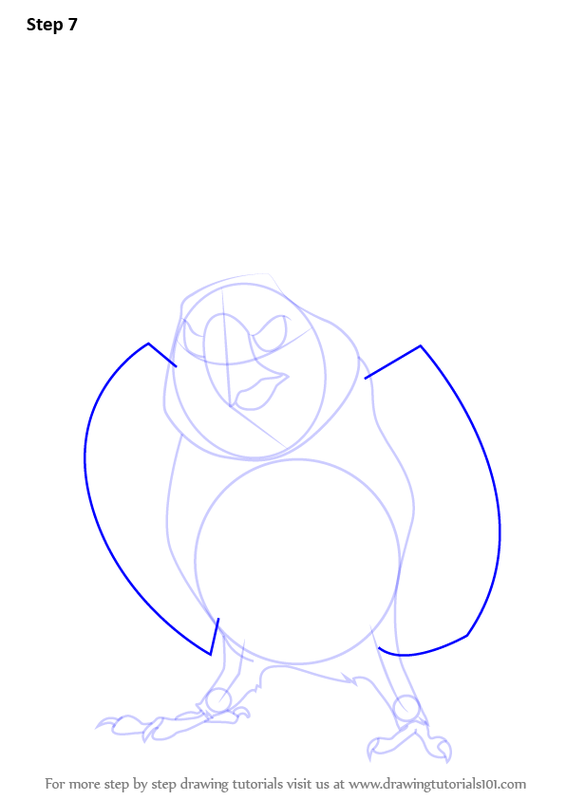 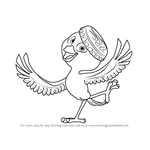 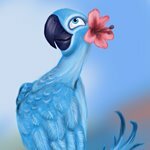 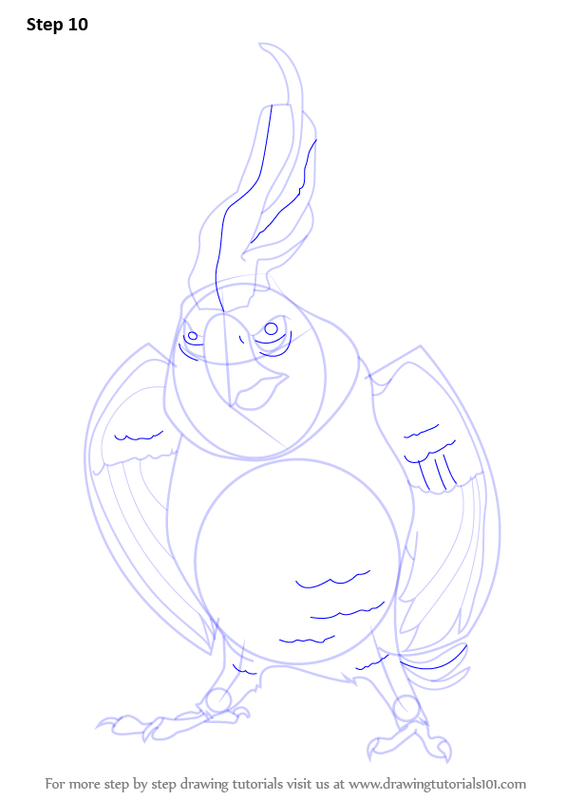 Draw the base for facial elements, beak, eyes and more. 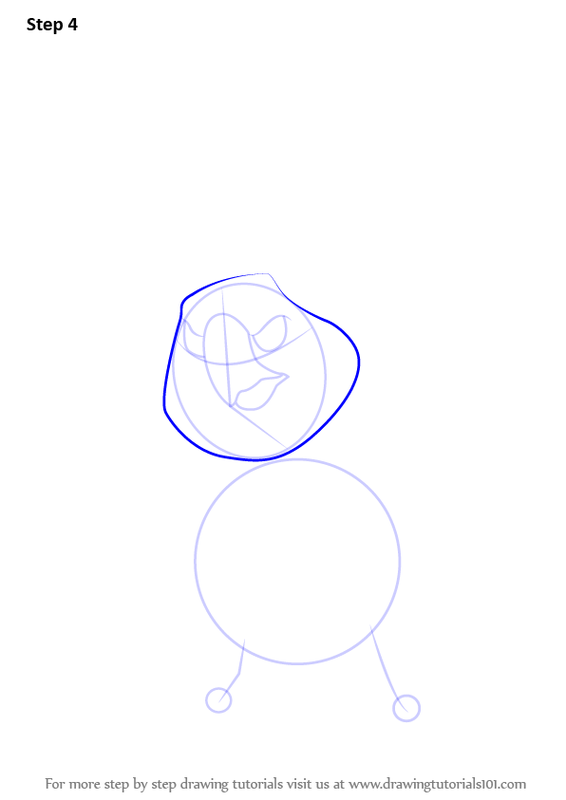 Draw the face as shown. 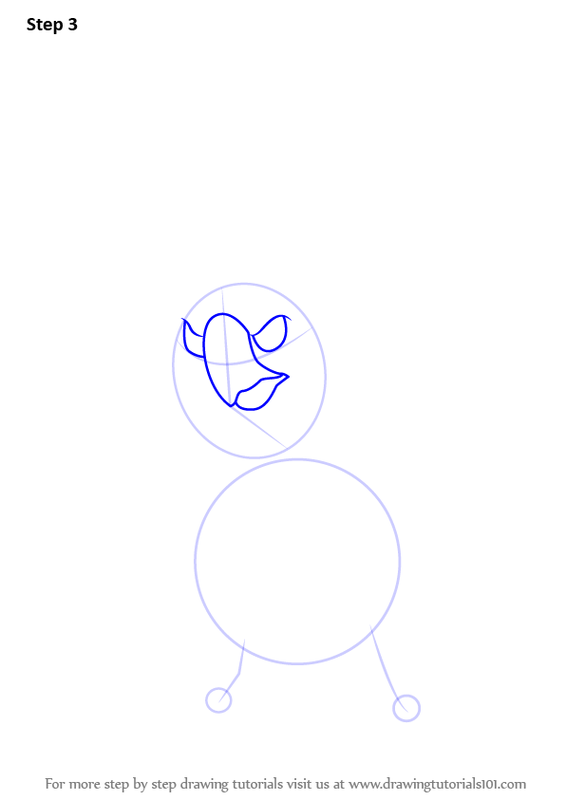 Draw the outline for the body as shown. 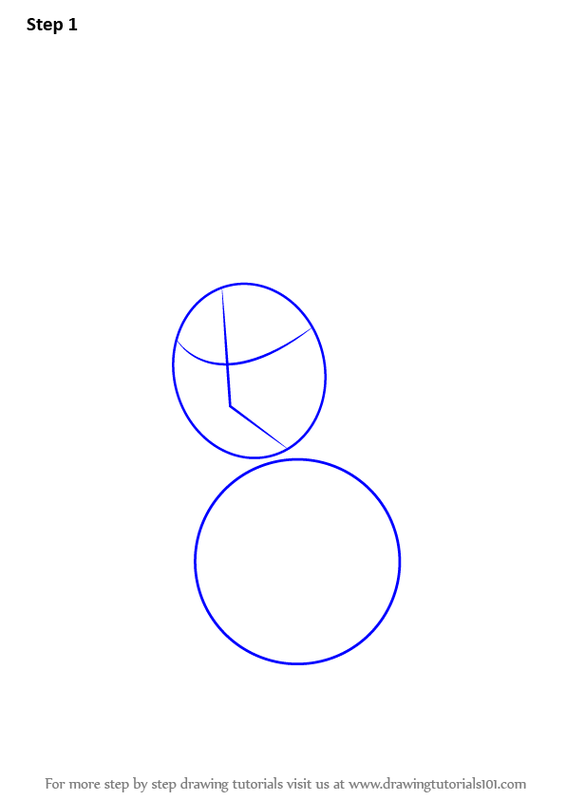 Draw the feet with fingers. 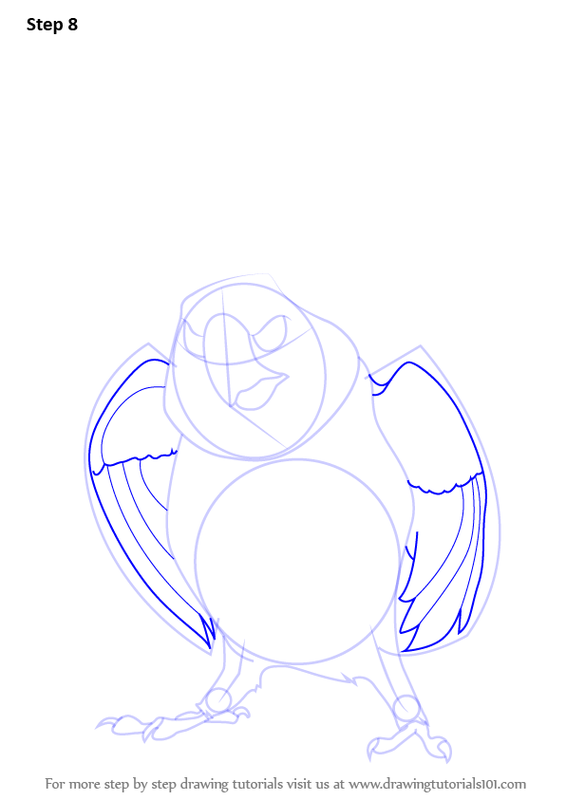 Draw the outline for wings. 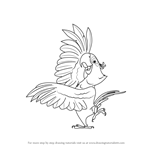 Draw the feathers wherever required. 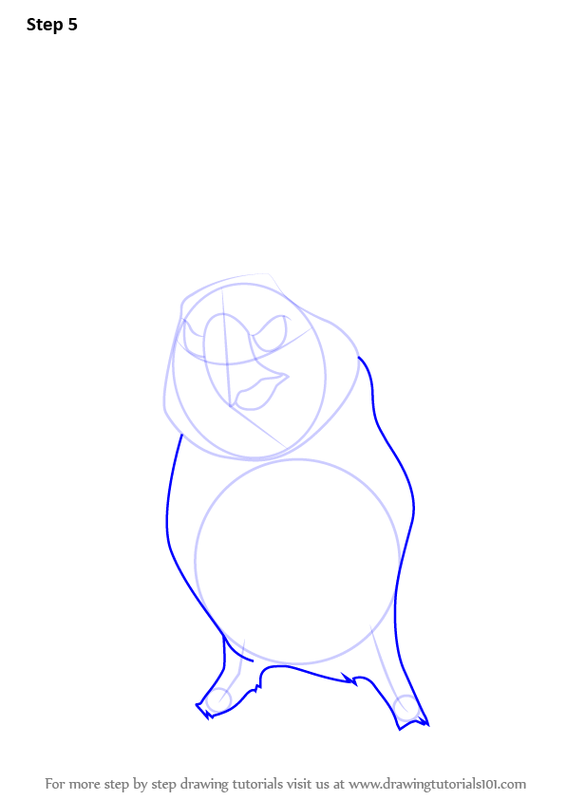 Draw the other little details.